Vibration on the steering wheel and vehicle body while driving really annoyed, the faster we drive, the stronger the vibration. Comfortless while driving can affect our mood. When emotions disturbed it can cause us to lose focus on the road and can cause accidents that necessarily undesirable. Therefore, before a long journey, for a comfortable ride it is advisable to send your vehicle to the qualified service center for inspections. But before that, it is better if you have preliminary information about the problem of your car before send it to the service center to avoid cheated by some traders / tycoons who want quick profits. Here I will list down some of the factors that could cause the steering wheel and vehicle body vibrating. Tires and rims are very important components to ensure safe driving. If we buy a new tire, the tire and rim should be rotated (balancing process) and make sure the tire inflated with suggested air pressure. 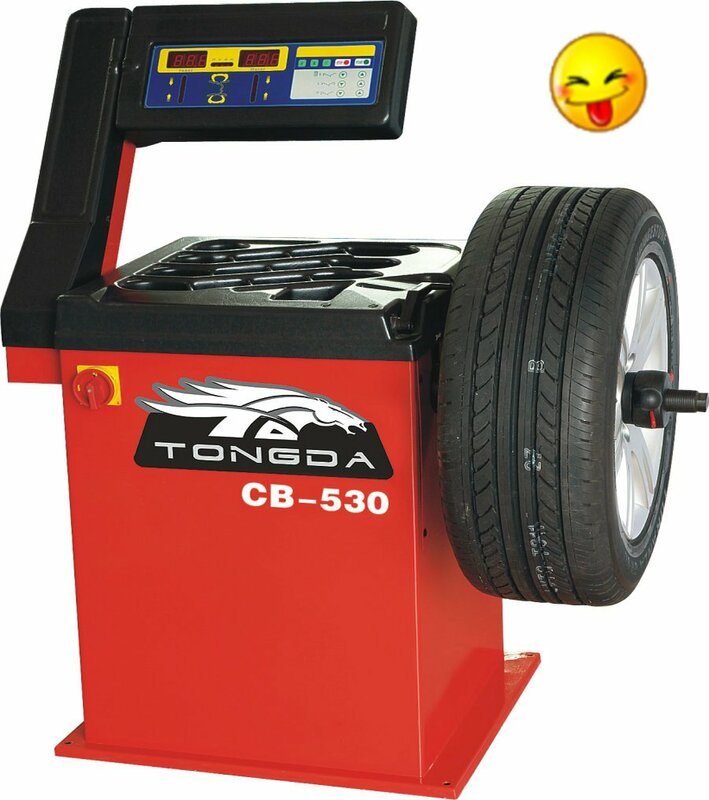 When mechanic rotating the tire, you should see the readings on the balancing machine, make sure the reading is 0: 0, then it can be fitted to your car's wheel hub. 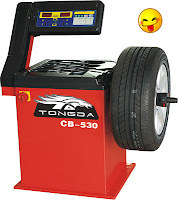 This is because even a small amount of imbalance tire will generate vibration at a high speed. During the balancing process, the workshop personnel should be able to check whether the tire still in good condition and make sure the rims are not bend. A bent rim cannot be balanced and the tire that are not flat or bald will also generate vibration even after rotated. vehicle absorber work to absorb the shock on the vehicle so that you will feel comfort when the car goes through a bumpy or uneven road. 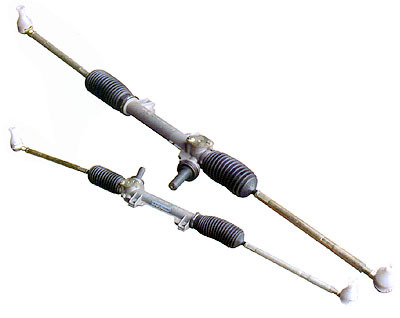 Thus, the shock absorber is very important in order to ensure comfortness while driving, In the first place, absorber also ensures a good vehicle stability control, especially while taking corner and braking. 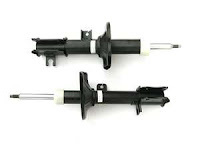 Broken shock absorbers will not work well, in some cases absorber can be "Jammed". When absorber not working properly, I'm sure it will contribute to vibration. Rack and pinion steering work to receive instructions from the steering wheel to move either left or right. 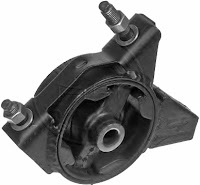 Damages usually happen to the rubber bush and gearing due to the wear and tear. When the gear on the steering rack has slightly missing, it will provide a "free play" situation in steering where when we turn the steering wheel in a small scale, the tire does not move. When there is free play in steering rack, tires will also free play to turn to the right or left that cause vibration to the vehicle steering. Faulty steering wheel and pinion rack if left for a long time can cause the vehicle to lose control because we are no longer able to control a vehicle. 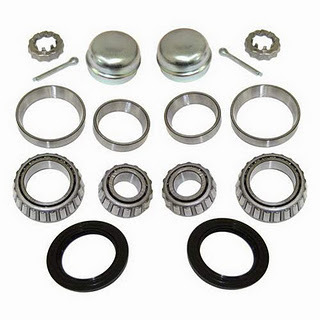 Wheel hub bearing is located in the tire hub itself, the front hub usually have two pieces of wheel bearings. 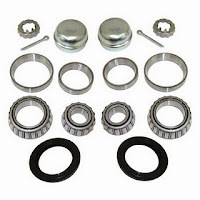 The wheel bearings also take for a long time to be faulty, but it all depends on the road factor. Holey or uneven road will damage the bearings faster. Faulty wheel bearings will result in free play in the hub, thus contributing to the vibration to the vehicle and the steering wheel. 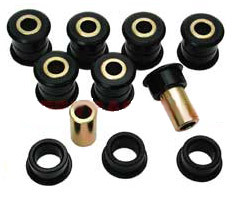 Normally, faulty wheel bearings can be easily identified because it will emit a buzzing sound and will get louder and louder when we are increase our speed. Stabilizer bar works to ensure that the hub and the wheel are in position at all times. It is also a rare damage unless you are running into a big hole or involve in an accident that involve lower front part.. If it bent, the wheel will not be in its supposed-to-be position and thus cause vibration in the steering wheel. Faulty bushing due to the wear and tear can be seen with the naked eye, if there is such flexibility on the part of the bushing, means that the rubber has worn out and should be changed. Faulty engine mounting can also contribute to the vehicle body vibration. Because of vibration produced by the engine cannot be absorbed by the rubber that was damaged / worn out and then channel the vibration of the engine directly on the vehicle body. In any case, a guiding framework additionally expels weight from your auto by lessening the heaviness of your auto. Power directing can be an extraordinary gas saver, yet just in the event that you keep up your controlling framework appropriately.